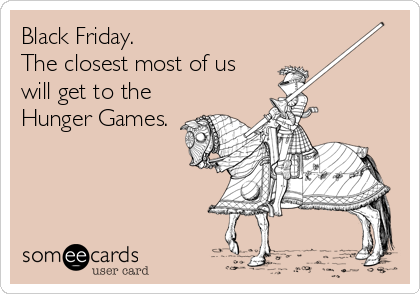 You embraced the thrill of Black Friday, shopped local for Small Business Saturday and had your credit card digits at the tips of your fingers on Cyber Monday, but you’re still racking your brain for a few more gift ideas! Before you do another Google search for, “2017’s Best Holiday Presents,” check out the Holiday Gift Guides we’re shopping and where SMACK! Media clients are making a splash. SportsIllustrated.com rounded up the best fitness gear, technology, wearables, and outdoor gear that will surely delight everyone from the weekend warrior to the marathoner on your list. 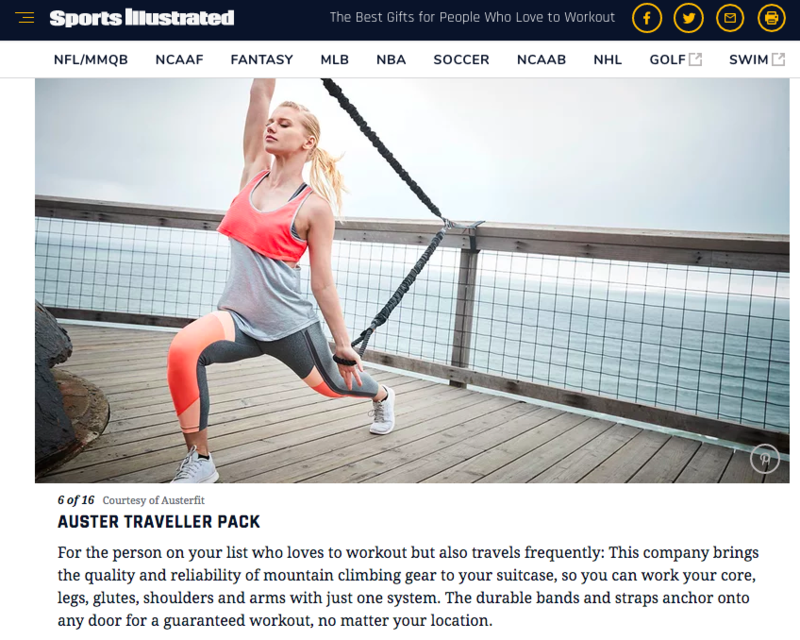 The Auster Traveller is NEWLY launched, and deemed the perfect gift for the person who loves to workout but is constantly on the go traveling. This portable system allows you to target your core, legs, glutes, arms, and more. 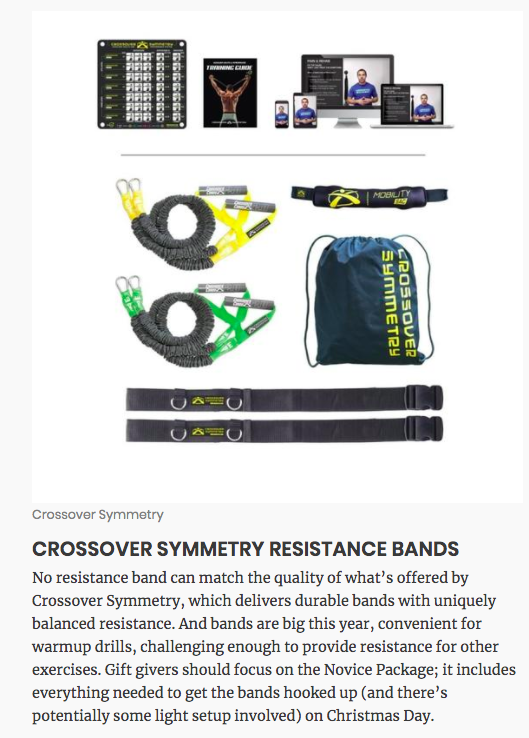 Plus the durable bands and straps allow you to anchor onto any door and crush your workout no matter where you are. Fitness gifts are the ones that keep giving long after the Holidays. 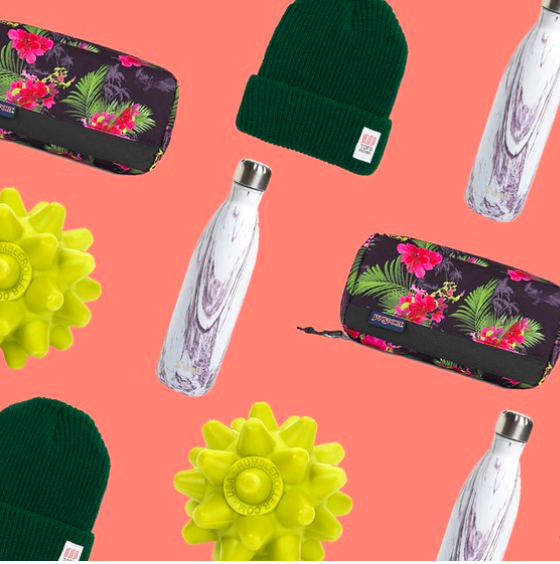 From functional recovery tools to stylish water bottles, SELF.com breaks down this year’s top 15 fitness gifts ideas that are under $25. Check out RumbleRoller’s Beastie Ball for, “Anyone who has a packed workout schedule or is constantly signing up for races.” This deep tissue massage ball is designed to dig in deeper, harder, and smarter to work out those tight trigger points. 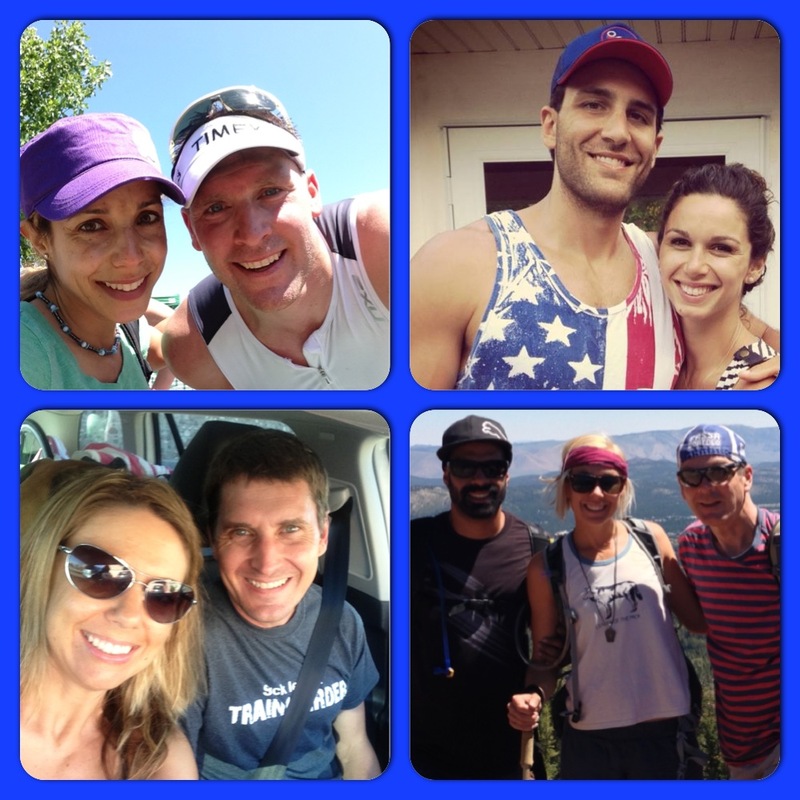 As a nutrition expert and author, busy mom of three, and self-described “fitness nut,” Frances Largeman-Roth, is constantly on the hunt for the latest gear to help her get the most out of her workouts… and look great doing it! For the Class Pass Girl or Fashion Fitness Fanatic she’s gifting Handful’s Squeeze Play Capri in Smokin and Bound and Determined Bra in Nurple. With this outfit and your strong movements, you’ll be the talk of your next barre class. HiConsumption.com combed through and sweat tested all the best athletic gear and apparel for men. We’re confident that with one scroll through this guide you’ll have gifts picked out for your avid runner dad, your CrossFit loving husband, and your sweataholic brother who’s ready to tackle any workout. 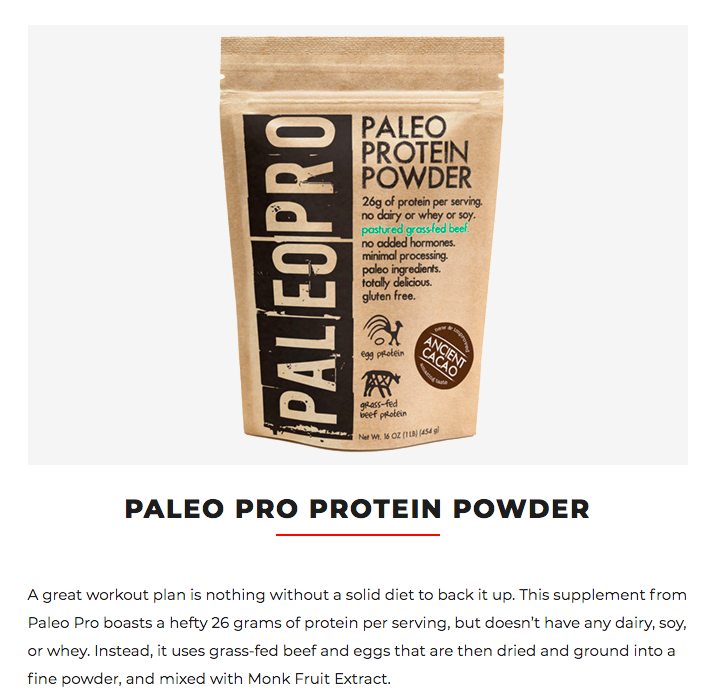 Looking for a tasty stocking stuffer, Paleo Pro Protein Powder is your answer. It packs 26 grams of protein per serving, but is free of dairy, soy, and why. Instead, it uses it uses grass-fed beef and eggs that are then dried and ground into a fine powder, and mixed with Monk Fruit Extract. What are some of your fave health and fitness gifts to give and to receive? 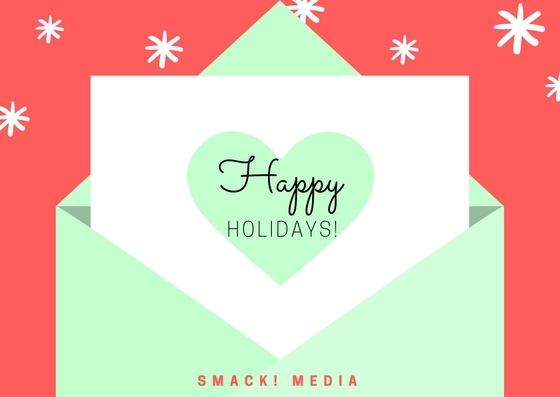 Tweet us @smackmedia or tag us @smack_media on Instagram.